While the star of Huawei’s event today was obviously its new flagship smartphone lineup, the Chinese manufacturer did have a few other surprises up its sleeve. The company announced a bunch of accessories including earbuds and a new fast charging power bank. The Huawei 12000 40W SuperCharge power bank is a multi-purpose power reserve that will not only charge compatible smartphones super fast, it will also charge smartwatches, cameras, tablets and also your laptops. 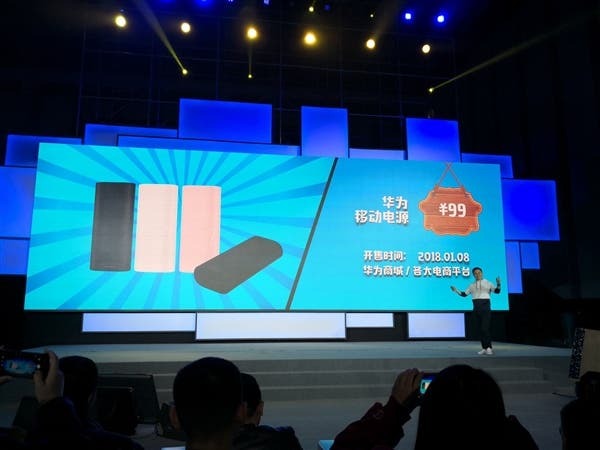 The rectangle shaped power bank comes in White and Blue colours. 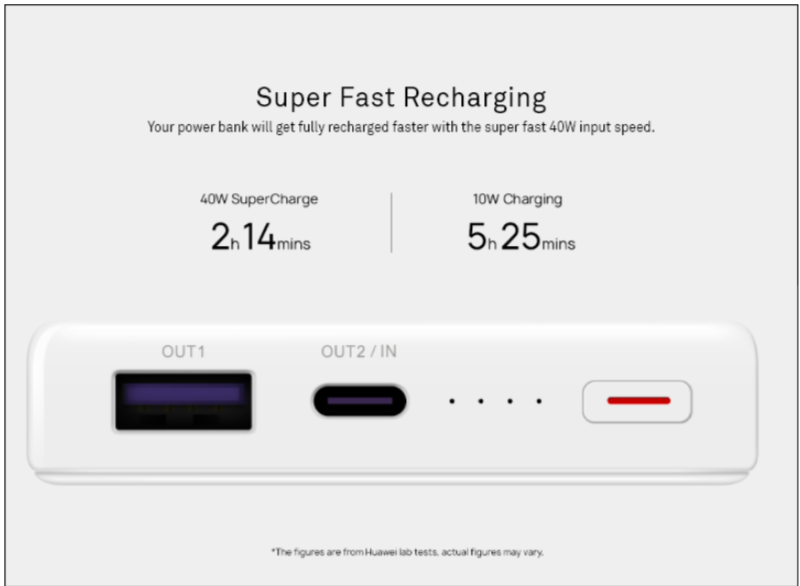 One of the key features of the Huawei 12000 40W SuperCharge power bank is its two-way fast charge capability. What this means is that not only does it output current at 40W, it can also input at the same rate. Hence, it can recharge very fast. To be precise, Huawei claims it can be fully topped up in just 2 hours 14 minutes. While that’s still a long time, it’s much better compared to the 5 hours 25 minutes which a 10W 12000mAh power bank usually takes. The huge 12,000mAh battery is made up of Lithium-Cobalt oxide and the whole package weighs 227g. 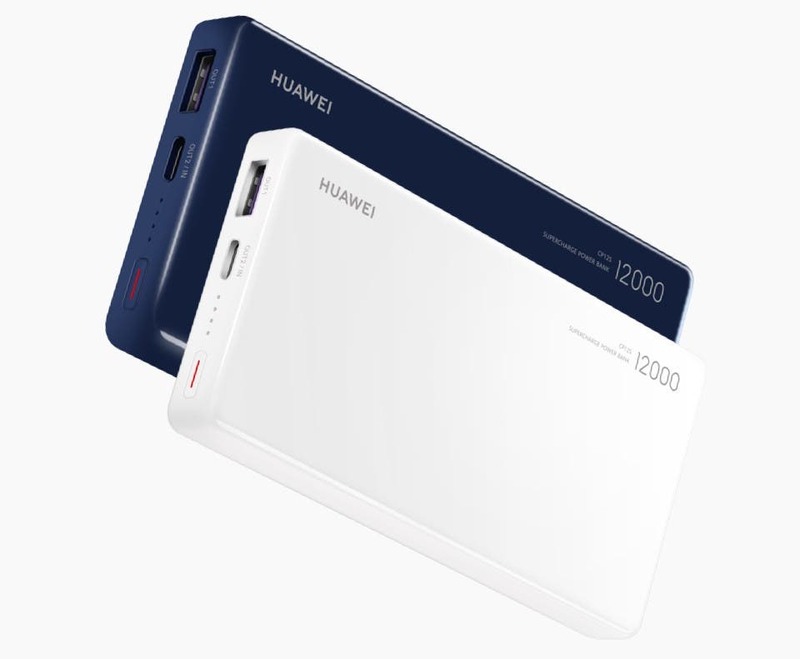 The Huawei 12000 40W SuperCharge power bank supports both Type-A and Type-C outputs. The juice pack is priced at 99 Euros (US$ 111 / Rs. 7,700 approx.) and will be released soon.